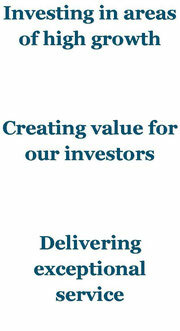 The Sincerus Management Team have extensive experience in acquiring properties and creating value for investors. Albert (Al) is the founder, President and CEO of Sincerus Capital Ltd. and serves in a leadership role for each of the Sincerus Capital Ltd. related companies. These companies are actively involved in the development of real estate assets located in Alberta and Manitoba. Prior to founding Sincerus in 2009, Al was involved in a variety of successful real estate investment ventures both in Manitoba and Florida, beginning in 2001 and involving over $20 million worth of properties. Al also has over 10 years' experience in the financial services industry advising high net worth individuals from Ontario to B.C. on investment, tax and risk management strategies. Al currently resides in Winnipeg, Manitoba with his wife and two young children, where he maintains an active role in the community, charitable ministries as well as positions on numerous corporate boards. As Chief Financial Officer for Sincerus Capital Ltd., Paul is responsible for all finance functions including strategic planning, sourcing project financing, reporting and compliance for the Sincerus group of companies. Prior to joining Sincerus, Paul was Vice-President at a Canadian public corporation where his accountabilities included taxation, external reporting and investor engagement. He has managed the structuring of complex business transactions from those involving hundreds of millions of dollars to deals involving owner-managed businesses. Paul also established and led one of the most successful Scientific Research & Experimental Development tax credit programs in Manitoba. Paul is an alumnus of the KPMG audit and tax practices and is a graduate of the University of Manitoba with degrees in Commerce and Education.